Often, it looks like every other web pages, app, or efficient tool describe AI as the secret component in their methods for achievement. What’s less genuine is a justification of what Artificial Intelligence is, why it’s so favorable, and how companies incorporate it to provide better customer service experiences. If you don’t have much idea about AI, you may face puzzle situation in the absence of a clarification. If you fear a computer-based disaster, it may even be creepy. Artificial Intelligence is difficult to understand, and it’s constantly growing, but that doesn’t refer that it should be puzzling or anxiety reminding. These things happen- especially when your private information isn’t included. Therefore, AI needs major changes in different sectors. Artificial Intelligence is most essential technology that is used to operate the functions and decision making likewise human being. AI also works as an artificial alternative to human brain now these days and it doesn’t have any emotion like a human. Accordingly, it strictly works as per program set by the developer with all function code and decision making logic. Hence, Robot works in this way. Machine Learning is predictably the learning part or monitoring part of AI for this purpose of deep learning. Therefore, Machine learning helps analysis and detection of things through machines and records and stores in the database. The Neural Networks (Intel) comes in the fourth circle. These are the clearest and touchable application of that philosophy. Hence, An AI operated robot works like active human brain impressively because it is designed and developed for different types of jobs. Billions of neurons are linked up together in the brain through trillions of synapses accordingly. Also, the vertical level of the function makes it very tough to replicate, but that’s accurately what mathematicians, scientists, and experts are opting to act through Neural Networks. AI Algorithms perform various tasks better than humans instantly. For instance, Artificial Intelligence gives better results than human pathologists in calculating patient survival moments for certain types of cancer tumors. Now, the models of different IT business organizations are named as “X plus Artificial Intelligence”. The operation includes HR and admin management like switching on and off lights, keeping environment mild i.e. neither too cold, nor too hot, and many more things. Hence, AI performs the automatic operations smoothly. This provides services such as benefits, unemployment analysis, social services, food safety inspections, education and street cleaning, etc. The Government has several policies and AI handles them well. For instance: in Japan, govt. servants spend the much longer time to answers the questions of elected representatives. Now they have implemented AI system for Ministry of trade, economy, and industry. Through AI, the user can save 60% to 70% time to operate the transactions. AI supports the government in originating policies. It also ideally delivers against those policies properly perform policy and action in an indistinguishable manner. Machine intelligence depends upon the recorded report only and it’s not 100% realistic. AI validation depends upon stored data only. If the data will be corrupted automatically or by someone intentionally, the AI report will be also false. Also, virus infection may change the performance and logic of the entire system. AI has to work under control of expert human beings and it can’t operate independently. Only, a human can rethink some issues in different ways, which AI operated machine or root can’t do. AI also strengthens democracy in various methods. But, for normative questions, no need of empirical answers and normal answers are valuable. Hope you must have a higher level idea of Artificial Intelligence in the government sector of various countries. Hence, right programming for AI could bring good results and assistance for the human beings. Also, we can call this era “AI era” or “Automation era”. 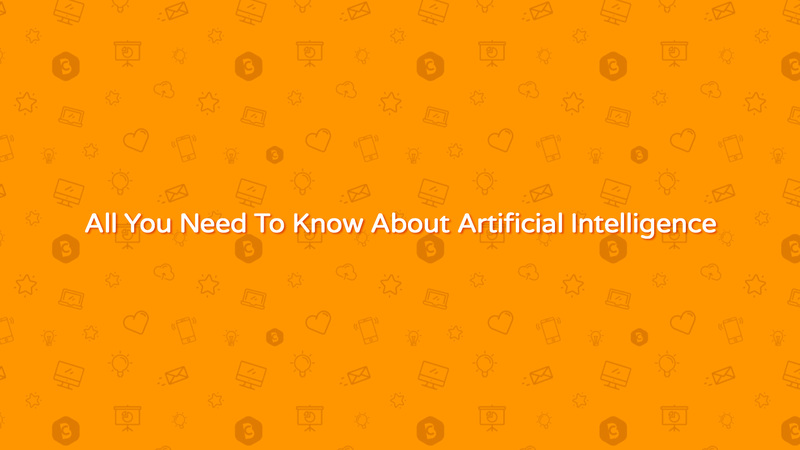 If you have any more doubt or wanted to know more about AI, just leave your feedback below.